Virginia strives for quality inclusion that provides and supports high quality, culturally and linguistically responsive inclusion for all children with disabilities and their families. There are good reasons for all children to be cared for together. It is beneficial for all children. Research tells us that regardless of their abilities, children in high-quality child care programs are better prepared to enter school and more likely to develop social and emotional skills. Your professional services are in demand. Most communities need quality, inclusive child care. By providing inclusive child care, you are supporting parents with children with disabilities to work or study or just take time out for themselves. It is the law. The Americans with Disabilities Act (ADA) is a federal law that protects people with disabilities from discrimination. The ADA affords people with disabilities the chance to participate in all activities and opportunities of community life, including child care. Everyone benefits from inclusive care. Inclusive child care provides families with greater child care choices, opportunities for their children to learn and make friends, links to community resources and services, contacts with other families in the community, greater awareness and understanding of people with disabilities, and the opportunity to teach their children about individual differences. Why is high-quality child care important for children with special needs? Most children, including those with disabilities and special needs, spend some time in a child care environment during early childhood, as well as while attending school. In a high-quality child care environment, child care providers respond positively to differences in children’s abilities, interests and experiences. 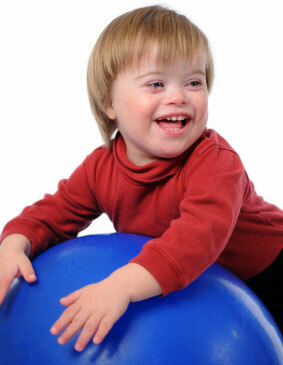 Children with and without disabilities develop a greater appreciation of each other and of individual differences. The focus is on planned developmental activities — individualized or in small groups. The environment provides needed predictability and routine, as well as novelty and stimulation. All inclusive environments allow children to grow and learn physically, emotionally, intellectually and socially alongside his/her peers. It is important that the teacher and child develop a mutually respectful communication system, building and enhancing understanding and trust and leading to optimal development. Children who participate in high-quality child care programs are better prepared to enter elementary school and are more empowered to maximize their independence and acceptance into society. All inclusive programs allow children to interact positively, make friends and learn from a diverse group of children in a “natural environment,” as provided for in federal law. Quality inclusive programs program must emphasizes health, nutrition and safety, as well as positive learning experiences. Check your policies and procedures to make sure they are open and inclusive to all children. Your policies must not screen out children with disabilities. Remove physical barriers to allow all children to participate. This can be as simple as rearranging a few pieces of furniture. When you get a call from a parent of a child with disabilities, ask about the child’s specific needs and arrange to meet the child and the parents. Make decisions about your ability to serve each child on a well- informed, individual basis. Children cannot be excluded from a child care setting simply because they have a disability. Inclusive practices create an environment in which children can work and play to their potential and are better able to understand and accept differences among themselves. Use activities and materials that are well organized and accessible to all the children in your care. Make sure there is enough space for children to move around (including children with wheelchairs or other assistive devices). Use furniture and bathroom fixtures that are child size and durable. Encourage each child to join his or her peers. Give children support to join others when it is needed. Treat all children with respect. Don’t assume that children with disabilities can’t understand what you are saying about them to others. Speak clearly when talking to children. When talking to a child, allow time for him/her to respond to requests. Some children may need extra time to respond. Point out strengths and successes of all children. Emphasize similarities among children. Be consistent in routines and interactions. The National Dissemination Center for Children with Disabilities (NICHCY) offers a wealth of information on disabilities and serve the nation as a central source of information on disabilities in infants and toddlers. They provide easy-to-read information on Individuals with Disabilities Education Act (IDEA), the law authorizing early intervention services and special education. Their State Resource Sheets will help you connect with the disability agencies and organizations in Virginia. On September 30, 2013, funding for this program from the Office of Special Education Programs at the U.S. Department of Education ended. This rich website and all its free resources will remain available until September 30, 2014.